The family-friendly 2019 Toyota Highlander SUV is available now at Carl Hogan Toyota, providing families near the Starkville and West Point, MS area with 8-passenger seating and advanced safety features. With a choice of advanced powertrains and transmission options, customizing a 2019 Toyota Highlander to suit the needs of your family is a breeze. The Toyota sales staff here at our new and used car dealership invites local SUV buyers to shop our 2019 Highlander inventory right here on our website. When you're ready to learn more about the benefits that come from owning a Highlander, like the complimentary ToyotaCare plan that comes with your new purchase, visit us in Columbus, MS! The 2019 Toyota Highlander three-row SUV is built with your family's safety in mind. Toyota includes its Toyota Safety Sense™ P system as standard on every trim of the 2019 Highlander. Systems include a Pre-Collision System with Pedestrian Detection, Dynamic Radar Cruise Control, Lane Departure Alert complete with Steering Assist and even Automatic High Beams. 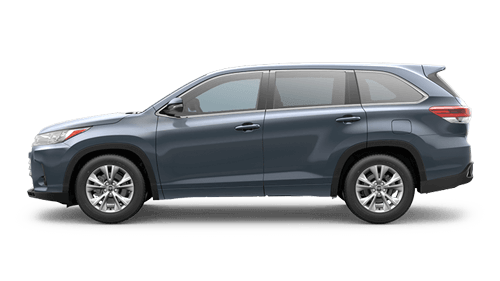 Our new and used Columbus, Mississippi, Toyota dealership is dedicated to ensuring all those who want to finance a 2019 Highlander are able to do so with ease; that's why we offer comprehensive financing services. Complete our dealer's credit application or make your way over from nearby West Point, MS to sit down with our loan experts. We'll present you with all the competitive financing packages that will help you secure the Highlander that fulfills all of your new car search requirements. From trading in to financing and even future maintenance care, Carl Hogan Toyota is here for you!